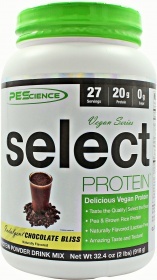 PES https://www.zumub.com/images/large/pes/pescience_select_vegan_protein_2lbs_LRG.jpg 1PES7493 Nie ma jeszcze żadnych recenzji. Mix one scoop with 300-360ml cold water or milk substitute. OSTRZEŻENIA Select Vegan Protein : Use this product as a food supplement only. Do not use for weight reduction. Do not use if you are pregnant, lactating or under the age of 18. Discontinue use and consult your health care professional if you experience any adverse reaction to this product. Store in a cool, dry place.